You are dealing with a difficult situation pertaining to your back taxes. No matter how much you pay or what you do, you can’t seem to resolve your unpaid taxes. You can get out of the predicament you are currently in by working with an experienced tax debt resolution specialist. At Tax Defense Partners, our team comprises knowledgeable and experienced Wisconsin tax debt attorneys. Speak to a Tax Expert about Wisconsin Tax Debt Relief. Contact us now! What Happens When You Don’t Pay Federal & Wisconsin State Tax? The government can legally collect what it is owed by placing a tax lien on your property. When you have a lien filed against you, you will not be able to sell the property. You are also not allowed to use that property to refinance an existing loan or get a new one. Inconvenience is not the only thing that you may face. A tax lien is usually reported to major credit bureaus and it affects your credit score. Obtaining new lines of loans or credit before resolving your back taxes can become difficult. Next, the Wisconsin state tax authority can impose a tax levy on your assets as well. This time, it is worse. Assets such as your bank accounts, car, or home will be seized. These assets will then be sold to satisfy your tax debt. The government is allowed to intercept your Social Security payments as well, so be very careful about not settling your back taxes. As your tax debt relief attorney, we want to make sure that the Wisconsin Department of Revenue and the IRS have prepared your tax bill accurately. In some cases, our clients’ tax bills contained mistakes. If that happens, we will amend the tax return and work with the state tax authorities to facilitate the necessary changes on your behalf. We understand that you have gone through enough stress as a taxpayer, so allow us to help you lighten your load. Next, we will work with you to determine which tax relief programs can help you pay your back taxes. This is an essential step to take if you are facing any financial difficulties that are hindering payments. The sooner we deal with these issues, the less penalties and interest you will incur over time. Some of the tax debt resolution options include monthly installment payment plans, penalty abatement, offer in compromise, and more. How long can the government keep up their collection efforts? The government can legally collect a taxpayer’s debt over a 10-year timeframe. You should keep in mind that the government also chases after unpaid taxes even if they are in relatively small amounts. Don’t expect the state tax authority to go easy on you. I've recently switched jobs and I'm supposed to be given a tax rebate. However, the IRS informs me that I have unpaid taxes. How can I solve this problem? 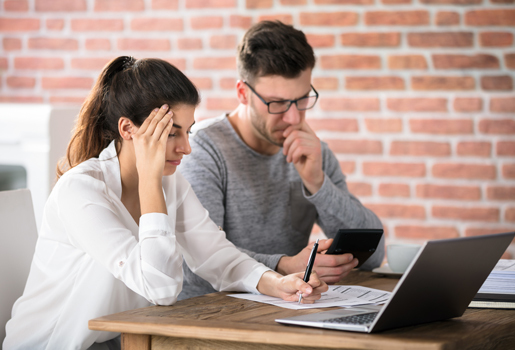 Wisconsin tax debt relief attorneys from Tax Defense Partners will take a full financial statement from you, including details of the relevant financial year. From there, we will address any red flags that we see. I can't pay back taxes due to my unfavorable financial circumstances. Are there any payment alternatives to look at? If valid reasons prove that you are facing serious financial hardship, our tax debt attorneys can help you apply for penalty abatement. It helps to get additional penalties and interest reduced or even waived. Hire The Best Tax Debt Defense Team in Wisconsin Today! It’s tough trying to fend off creditors on your own. The government is known to take an aggressive stance when it comes to collecting tax debts. Tax Defense Partners can help you find the best possible tax debt relief solution for you. Contact us today for more information about our expertise in resolving Wisconsin tax debt problems. Call us at 800-600-4300.